Dust-Off Disposable Compressed Air Duster, 10 oz Can - Dust-Off compressed gas dusters provide potent dust-removing power for you to complete practically any task. 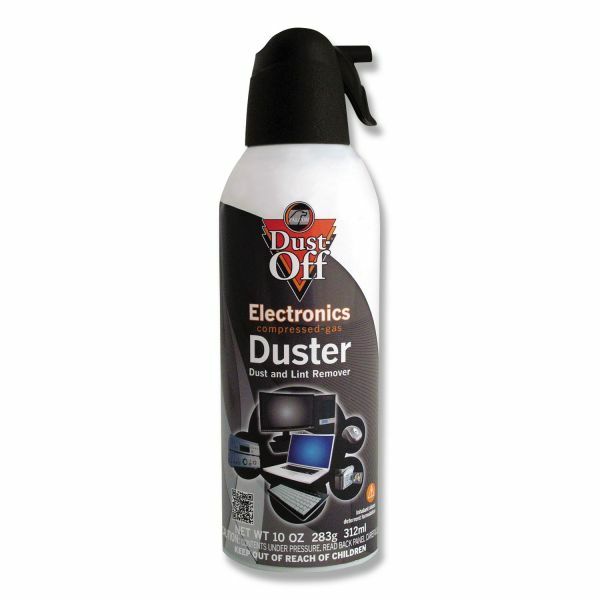 Use in your office space to clean keyboards, CPU, laptop or desk area. It is great for removing dust around the home like window blinds, collectibles, sewing machines, holiday ornaments, craft projects and silk flower arrangements. Duster comes with an extension straw to get into hard to reach places. Duster contains a bitterant to help discourage inhalant abuse.